Home Myphone Tech News MyPhone WAREHOUSE SALE! 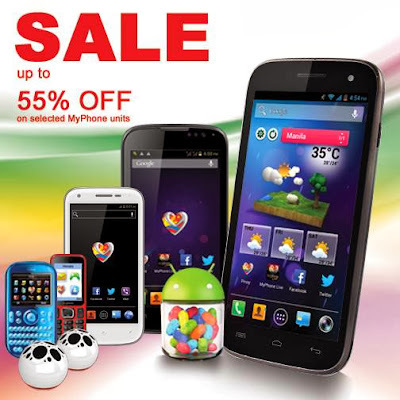 55% off on selected MyPhone units! MyPhone WAREHOUSE SALE! 55% off on selected MyPhone units! Last December 1, 2013, MyPhone launched their newest smartphone called the MyPhone Iceberg Mini that can pay up to 24 months with 0% interest. And now, another good news came out on the said company. They will give up to 55% off on selected units starting on December 6 to 15, 2013. Here are the MyPhone units on SALE! The units listed above are available at at Myphone Head Office, 2000 Solid City KM 16 East Service Rd. Bicutan, Paranaque City. What are you waiting for? Get your MyPhone handset now!